The enterprise app to manage team members and activities. All records related to internal employees and external resources are entered into a single database. The information is available in real time on web and mobile devices. 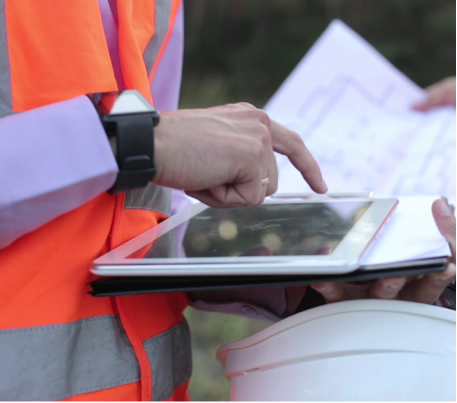 Effective planning, efficient processes, and valuable insight into site operations. Make the right decisions with real-time access; no more time wasted in reporting. Digitized processes help your team reduce project costs. Each employee has a profile page with key information. Create teams and groups to reflect the management structure. Allocate each resource to a project. Analyse all information with real-time dashboards and reports. Real time GPS location for resources on site equipped with Android devices. Utilise flexible access rights and editing rights. Plan and report the time spent by teams in the field. Submit check-in and check-out times for each employee. Monitor the overtime approval process in real-time. Plan activities, assignments and validations. Complete digital signatures for timecard submission and approval. Pre-defined dashboards to help teams track statistics on various projects. All info can be easily downloaded or exported in Excel & PDF formats. Pre-defined reports for inspections, work instructions, rectification acknowledgement.